In 2017, 10 to 15% of new cars were sold in China thanks to peer-to-peer lending online platforms. After detailing China July Wholesales we can now explore China July Retail sales, a new exclusive monthly BSCB update. Retail sales are dealership sales to end-customers as opposed to Wholesales which are ex-factory sales to dealerships. These new Retail updates enable a second perspective, perhaps closer to the reality on the ground. This update only includes China-made vehicles, China July imports are covered in a separate update. The Chinese new light vehicle market is currently undergoing an unexpected and sudden slump linked to SUV sales in crisis, a segment that had been the engine of Chinese growth for almost a decade. I had not found a plausible explanation for this blindsiding trend reversal up until today, and it turns out a government crackdown on peer-to-peer lending digital platforms is behind the slump. 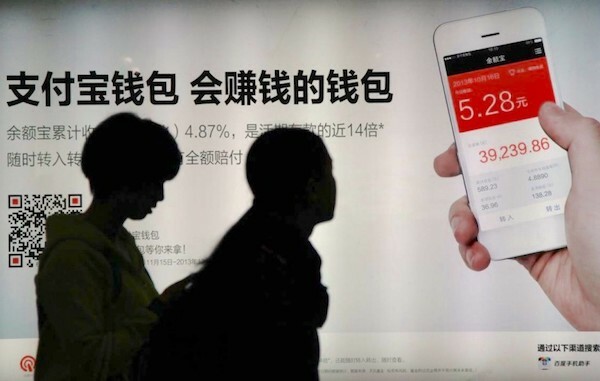 Peer-to-peer lending – a financing method that bypasses banks by directly connecting borrowers with lenders – was legalised by the Chinese government in 2015. In a very short timespan, the Chinese P2P lending industry had become the largest in the world, with over 8 million investors and borrowers active in June 2018 alone, but it grew unbridled and unregulated to over 8.500 platforms by the end of 2017. Faced with a wave of lender scams and borrower defaults, the government intervened and closed the vast majority of P2P lending platforms over the course of the past few months, with only 1.800 remaining by the end of June. 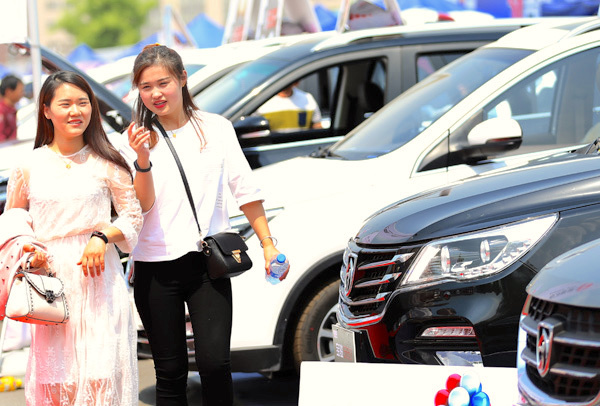 Young car buyers, very fond of Chinese SUVs, are the main users of P2P financing. How is this connected to declining new car sales – and particularly Chinese SUV registrations? It’s simple: the P2P lending platform is particularly popular with younger Chinese who tend to fall in love with Chinese SUVs more so than their older compatriots. Car loans secured through P2P financing had reached roughly 10 to 15% of new car sales in China in 2017 according to Shanghai-based Shenwanhongyuan Securities. Link the dots and the surprising evolution of the Chinese market is now explained. Roughly speaking, if you can afford a foreign SUV or sedan, you don’t usually need P2P financing. Therefore, the government crackdown on P2P lending platforms has prevented 10 to 15% of potential young buyers, very keen on Chinese SUVs, from entering the market over the past couple of months. That’s enough to explain a very targeted sales slump on Chinese SUVs and not the rest of the market, less favoured by younger buyers and therefore less affected by a P2P lending crackdown. Second consecutive month of decline for Volkswagen, despite the new Bora up 22%. In this context, it’s no surprise that sedans continue their comeback in the retail charts as we’ll see further down in this report, and similarly to wholesales figures, the retail market is down 4.9% to 1.688.700 units. In the brands ranking, handicapped by weak registrations for the Jetta (-21%), Tiguan (-20%) and Passat (-15%), market leader Volkswagen drops 6% to just over 240.000 units. Honda (-1%) steps up on spot on June despite declining sales, with Toyota (+16%) and Geely (+21%) both posting fantastic performances and the Japanese carmaker overtaking Geely in the YTD order to rank #2 so far. There are no other double-digit gainers in the Top 10 with Nissan (+8%), Audi (+5%) and Hyundai (+1%) up but Baojun (-23%), Buick (-17%) and Wuling (-14%) in difficulty. The 5 Series L (+133%) and the new X3 help BMW up a whopping 51% in July. Great performers further down include Hongqi (+801%), Qoros (+446%), MG (+76%), BMW (+51%), Roewe (+27%), BYD (+23%) and Mercedes (+19%). Having focused solely on this segment at the detriment of sedans, Chinese carmakers are hit full frontal by the SUV crisis, such as Haima (-66%), Lifan (-53%), Soueast (-52%), Bisu (-46%), Cowin (-45%), BAIC (-42%), JAC (-41%), Leopaard (-40%), SWM (-38%), Zotye (-38%), Borgward (-35%), Haval (-31%), Chana (-27%), JMC (-23%), Landwind (-23%), Dongfeng (-21%), Karry (-20%), Changan (-18%) and Yema (-17%)… A fair amount of foreign carmakers are also freefalling this month, led by Peugeot (-40%), Suzuki (-38%), Ford (-37%), Acura (-27%), Luxgen (-21%), Renault (-21%), Land Rover (-20%) and Mazda (-15%). 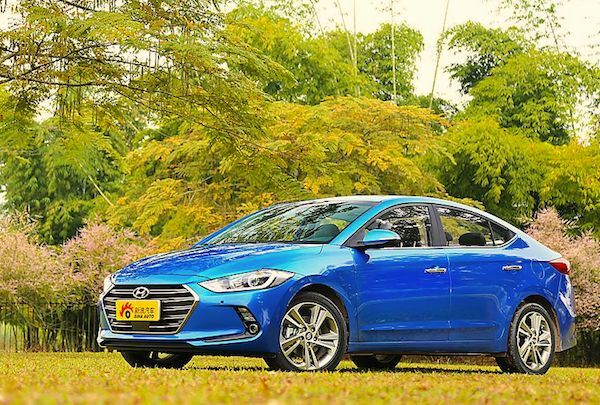 Hyundai Elantra Lingdong sales shoot up 147% year-on-year. 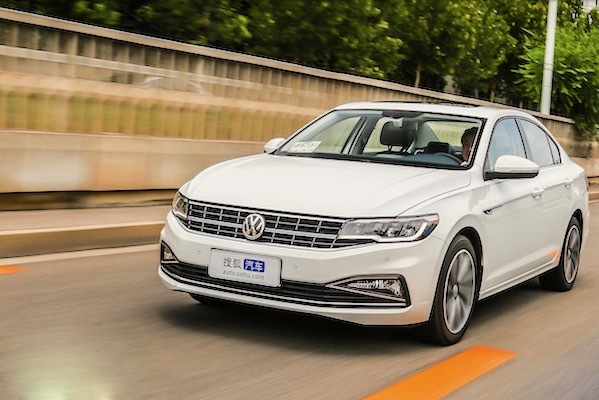 Like in June, the five best-selling nameplates in China are all sedans: the VW Lavida (+2%) scores its first monthly retail win of 2018 even though it dominates YTD, outselling the #1 of the past two month, the Nissan Sylphy (+16%) ahead of the Toyota Corolla (+15%), VW Sagitar (+4%) and VW Bora (+22%) already helped by a facelift. The VW Tiguan (-20%) becomes the #1 SUV for the first time in at least 16 months and despite a heavy year-on-year fall. But the Haval H6 (-33%), Baojun 510 (-30%) are falling even harder. The Wuling Hongguang (-37%) and Biuck Excelle Yinlang (-48%) totally implode to complete the Top 10. 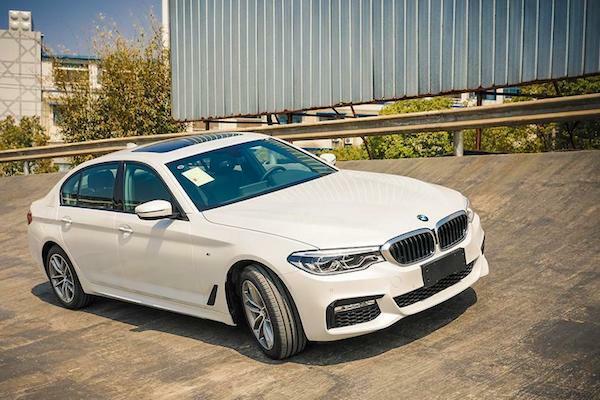 Illustrating the regain of form of sedans in China, they once again monopolise the largest gains in the remainder of the Top 50 with the Hyundai Elantra Lingdong (+147%), BMW 5 Series L (+133%), Toyota Camry (+95%), Geely Emgrand GL (+51%), Audi A4L (+37%), Chevrolet Cavalier (+32%), BMW 3 Series L (+26%), or Honda Civic (+17%). In the SUV aisle, only the Honda CR-V (+157%) and Toyota RAV4 (+31%) shine. 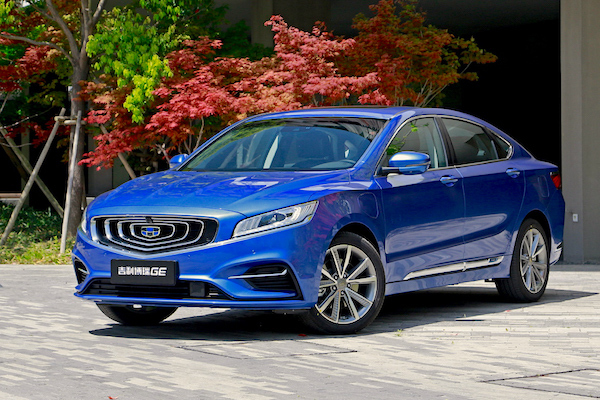 The Geely Emgrand GE is new for July. Among recent launches (<12 months), the Geely Vision X3 is the most popular for the first time at #51 (+3) ahead of the Baojun 360 at #58 (+3), Baojun 530 at #62 (-14), BYD Song MAX at #66 (-6), Wuling Hongguang S3 at #68 (+2), Lynk & Co 01 at #75 (-7), GAC Trumpchi GS3 at #97 (+26) and WEY VV5 at #102 (+14). Looking at models launched last month, the BMW X3 is the best-seller at #163, up 176% and 101 spots, followed by the FAW Besturn Senya R9 at #206, up 82% and 61 ranks, the Jeep Grand Commander at #216, up 141% and 91 spots and the Brilliance V7 at #290, up 6146% and 239 ranks. We welcome five new nameplates in the Chinese retail charts in July: the Geely Emgrand GE at #189, the Skoda Kamiq at #192, the Audi Q5L at #232, Chana Star V3 at #243 and the Lark Q1 at #537. Full July 2018 Top 95 All China-made brands and Top 600 models below.